The Old Quay House in Fowey has been named ‘Cornish Hotel of the Year’ in the 2013 Good Hotel Guide. The annual awards, named after celebrated hotelier César Ritz, are known as ‘the Oscars of the hotel industry’. Just ten Césars are awarded each year by The Good Hotel Guide, the leading independent guide to hotels of quality and character in the UK and Ireland. 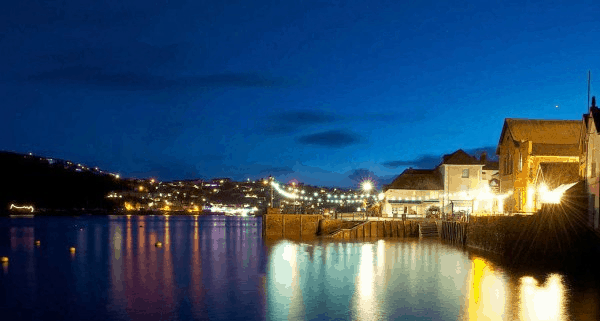 The Old Quay House, a boutique hotel of just 11 rooms set on Fowey’s harbour front, has been considered by reviewers to be outstanding in its class and a worthy recipient of the award. Desmond Balmer, joint editor of the Guide commented: “Jane and Roy Carson have turned an old seamen’s mission into a chic and comfortable hotel. Guide inspectors found it “an absolute delight from start to finish…simply spot-on”. Prices at The Old Quay House start from £180 per room per night, based on two adults sharing on bed and breakfast basis. For more information or to book visit www.theoldquayhouse.com or call 01726 833 302.